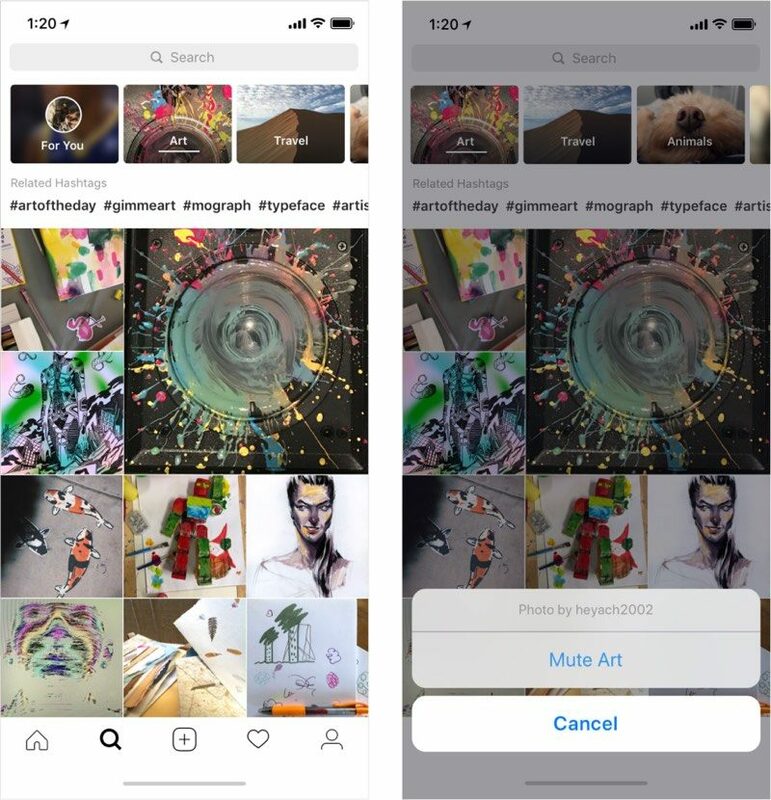 Instagram today implemented several new features that were first previewed and announced at Facebook's F8 developer conference in May, including a redesigned Explore tab, new camera effects, and a group video chatting feature. Instagram's new video chat option, which is a feature that's designed to rival offerings like Skype and FaceTime, can be accessed via Instagram Direct, and it allows for video calls with up to four people at the same time. Instagram users can chat across iOS and Android without the need for a phone number. As explained by Instagram, starting a new video chat can be done from the Direct inbox. Open a message thread, tap the camera icon, and the video chat will ring on a friend's phone. While video chatting, the video can be minimized to one corner so you can continue to browse Instagram. You can video chat with anyone you have an active Direct thread with, and blocking a person will prevent them from video chatting you. With group chats, a little icon will let you know when friends are talking and you can join in. Video chat is perfect for groups. You can video chat with up to four people at a time, and the video will expand as more friends join. If there's an active video chat in a group thread, the camera icon will turn blue. Simply tap the camera to join in the fun. You can video chat with your friends for as long as you'd like. When you're ready to leave the video chat, tap the red phone icon at the bottom. Instagram's Explore tab has been revamped with new topic channels that are designed to make it easier to find content that you want to see. A "For You" tab offers up suggestions based on your interests, while channels like Art, Sports, Beauty, Fashion, and more offer up additional content suggestions. You can swipe from grid to grid to discover content within a specific interest after tapping into a channel, and for things you're not interested in, you can mute a channel by pressing and holding on it to bring up the "Mute" option. In addition to group video chats and a revamped Explore section, Instagram now includes updated camera effects designed by Ariana Grande, Buzzfeed, Liza Koshy, Baby Ariel, and the NBA. If you follow these accounts, the new effects will be available in the Instagram camera through the face icon, while non-followers can tap an effect to try it on and add it to the camera. Additional effects from other celebrities and popular Instagram accounts will be added in the future. These features are nice to have, but app bloat is becoming an issue with every single app packaging the same feature set, so I avoid updating anything now.